It’s our goal to help you live your best life — on your terms. We accomplish this by providing you with a continuum of care that encompasses your physical, psychological and spiritual needs as you age. As a member, you’ll receive a life plan coordination team who you’ll work with to develop a plan that will meet your needs throughout your life. Our life plan coordinators work closely with you to achieve your goals of remaining healthy and independent as you age in your home. 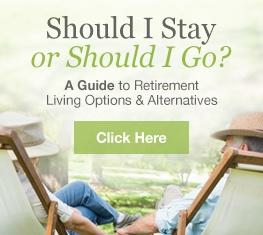 Under the guidance and expertise of our life plan coordination team, you’ll then receive services based on your plan. A Professional Life Plan Coordinator: Together you’ll build a life plan that supports and maintains your lifestyle and evolves with you as your needs change. Nutritional Support/Meals: Two prepared meals can be delivered or a caregiver can cook meals when needed. Home Health Aide Services: Aides may provide assistance with bathing and dressing, feeding assistance, light housekeeping, etc., if needed. Emergency Response System: You’ll receive a new, patented GPS technology that allows you to speak directly to a certified response agent with the touch of a button. Transportation Services: These services provide transportation to and from medically necessary outpatient surgery or short procedures, which may include but are not limited to: cataract removal, chemotherapy treatments and surgical biopsies. In-home Functional Assessment: During your membership, you’ll periodically receive an assessment of your functioning and safety within your home. Recommendations for appropriate adaptations will be made, if necessary. 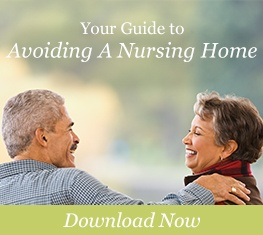 A fraction of the cost of "pay-as-you-go"
Discover how easy it is to remain in your home as you age. 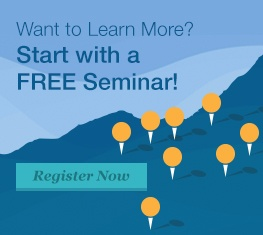 Register today for one of our free seminar events.